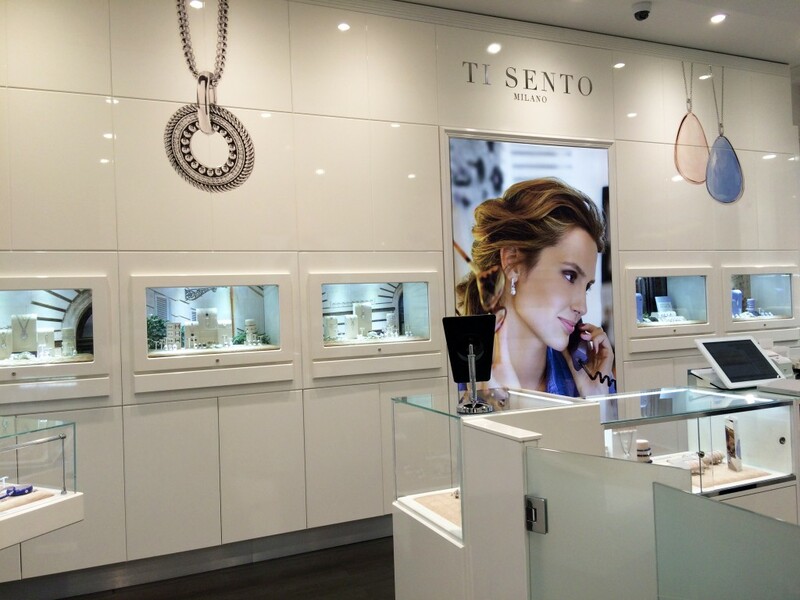 Ti Sento Milano is an Italian brand, specialising in fine silver jewellery. 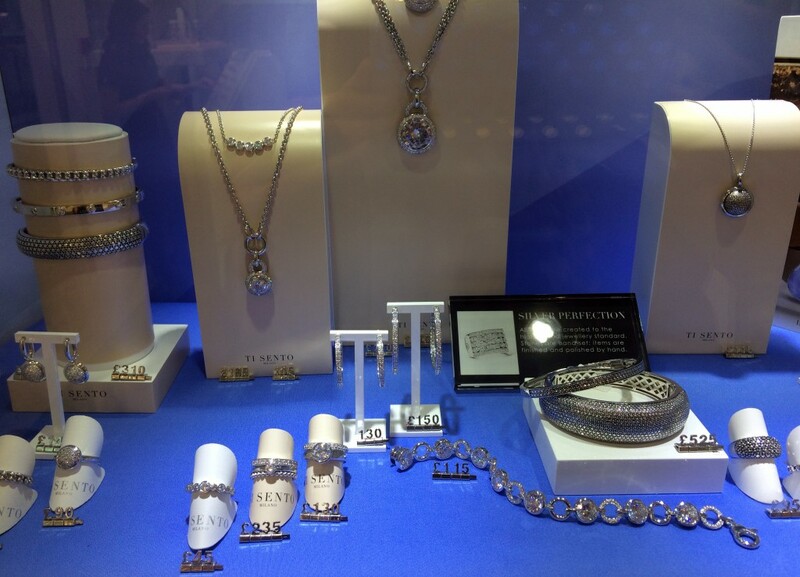 The silver is rhodium plated, and all the stones encrusted and set into the jewellery are handset. 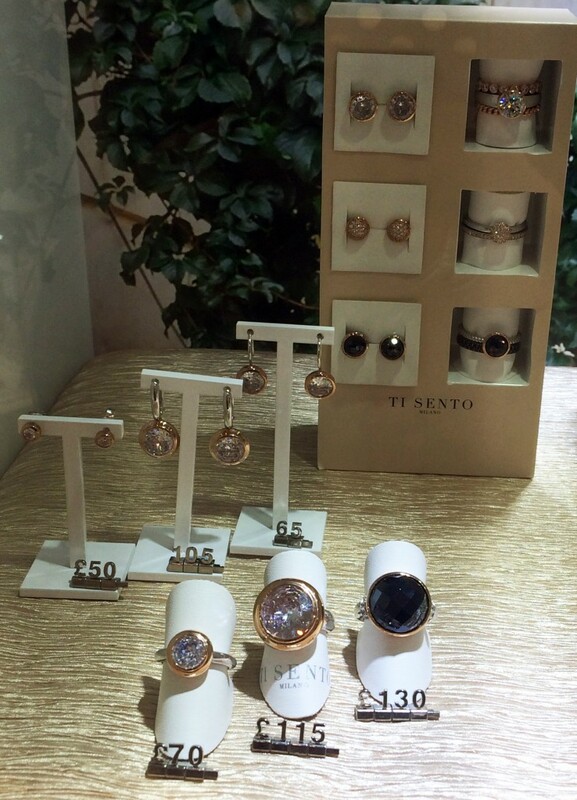 The jewellery collections from Ti Sento are designed to be breath-taking, with key pieces which are timeless and elegant, delivering that luxury and premium feel although priced accordingly. The flagship store in Manchester is beautiful – I love a nice clean and modern white store, with gallery-esque displays yet with a friendly feel at the same time. 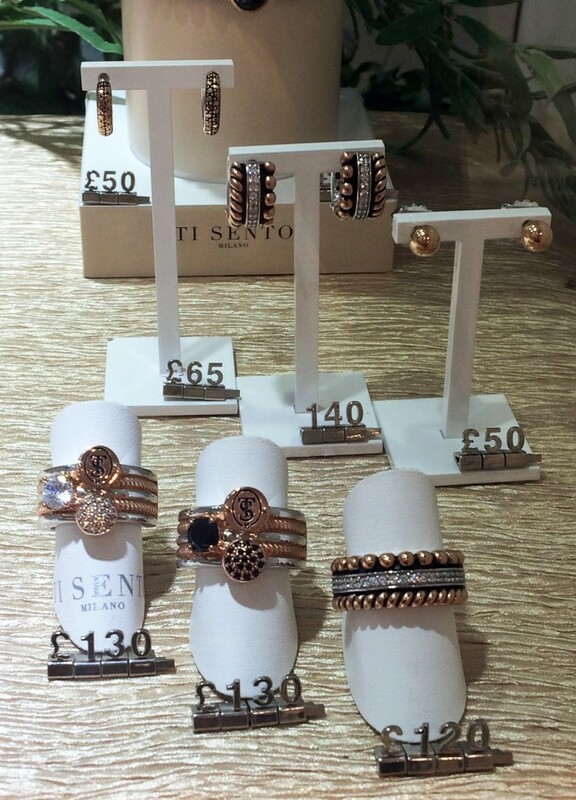 All Ti Sento designs are created in-house, and when you take a look at the cabinets of mesmerising jewellery, you can really tell each piece has been designed with lots of careful thought and precision. 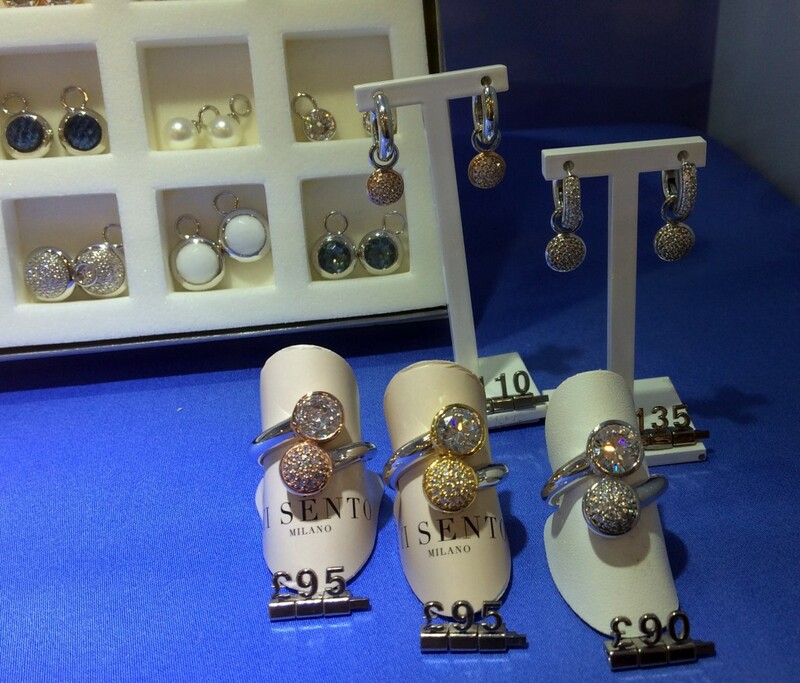 I am truly in love with the rings in the above photo – so sparkly and statement, yet such a classic style making them timeless. I love the fact that as much as the collections appear designer, the prices are fairly affordable. 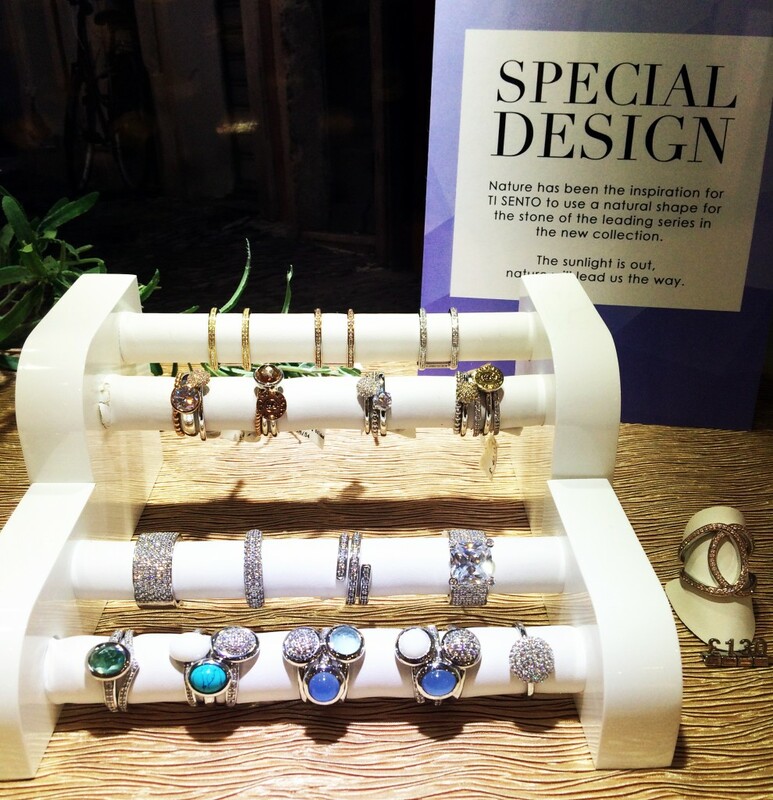 I could save up to treat myself to one of these stunning rings, and it would be a keepsake piece of jewellery the same way a designer piece would be. I would also gather a number of my girlfriends together and club in to buy a ring like this for a friends Birthday. 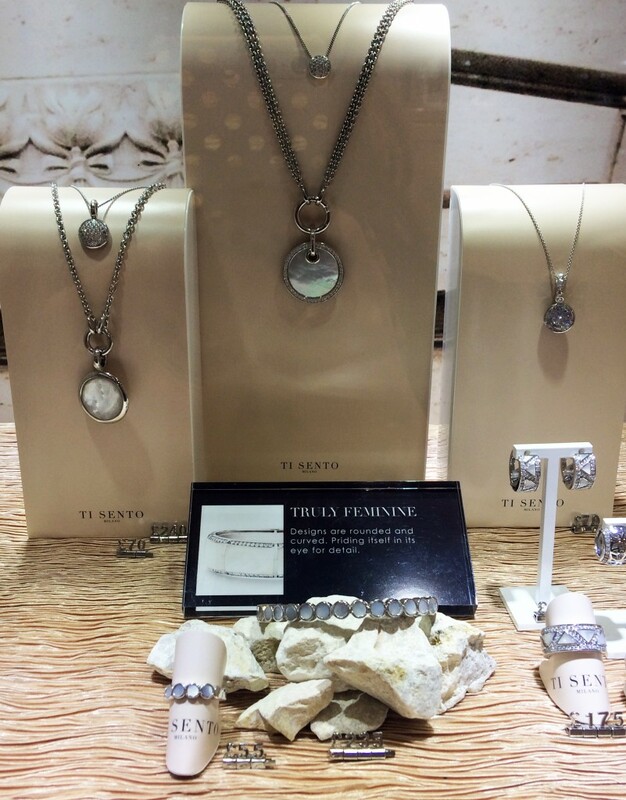 The amount of detail that goes into these pieces to create the perfect finish is obvious even from a distant glance. 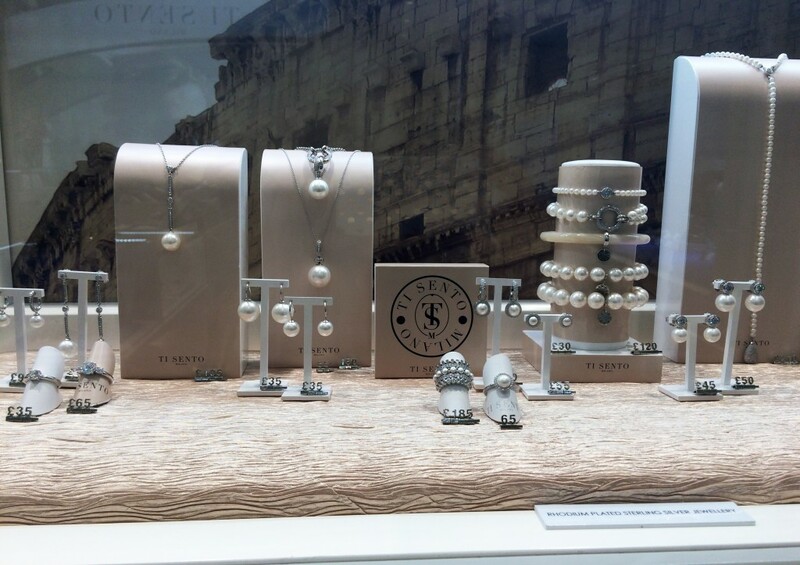 As well as designing traditional looking pieces, Ti Sento takes inspiration from the Italian style Milanese women are famous for, therefore some of the collections mirror the latest trends. 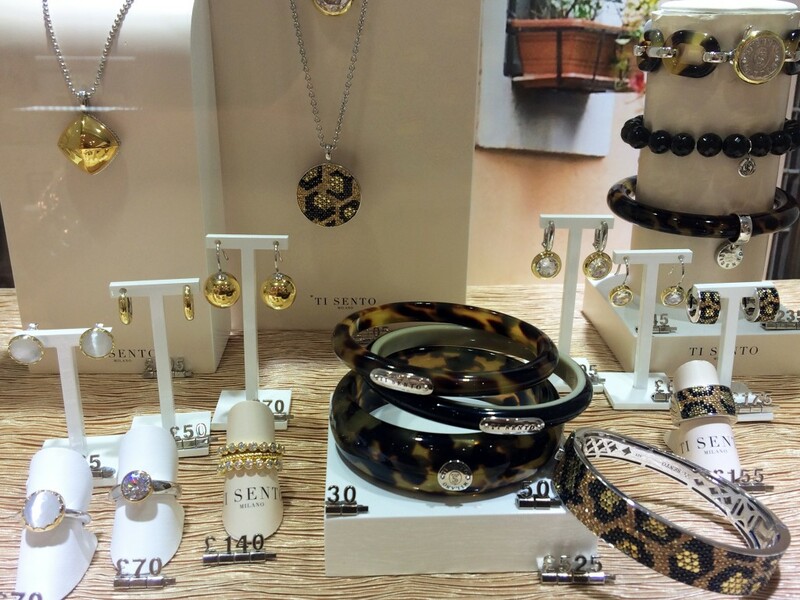 The above collection features a touch of warm colours and animal markings, to create a more fashion forward look. 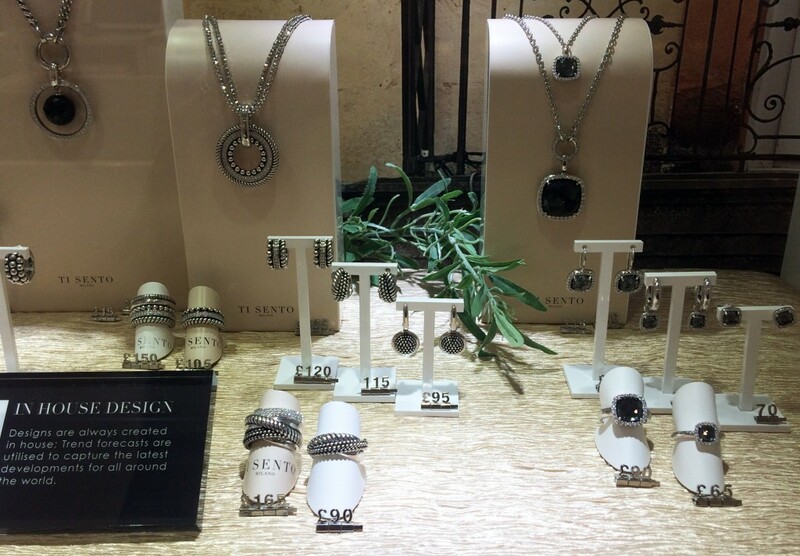 From the SS’15 collections, I could tell that Ti Sento has tried to take every ladies style and personal tastes into consideration, by adding elements of colour to some of their collections for those who like to mix and match their jewellery with their clothing. 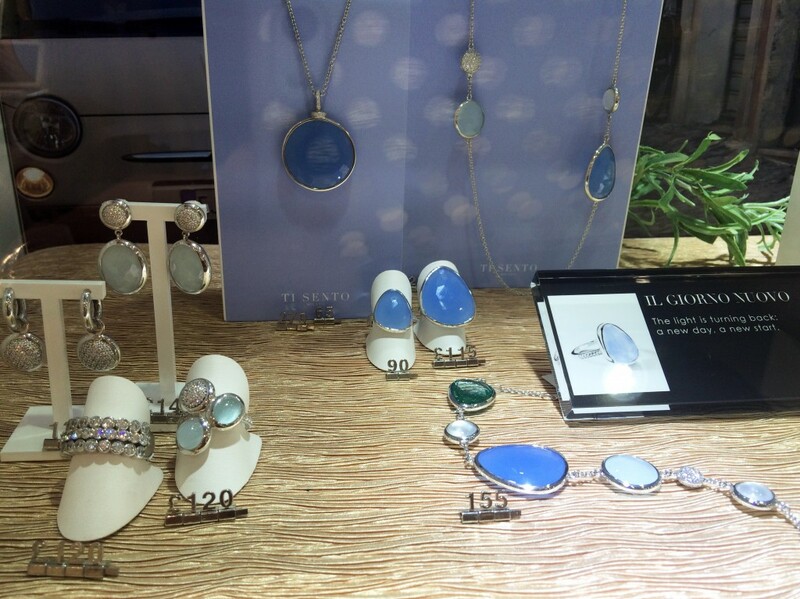 Subtle shades of aqua and pearl have been brought in as main accent colours, and although I m usually not really a colour person when it comes to accessorising, I have to admit the ocean themed colour palette of the collections above have swayed me slightly. 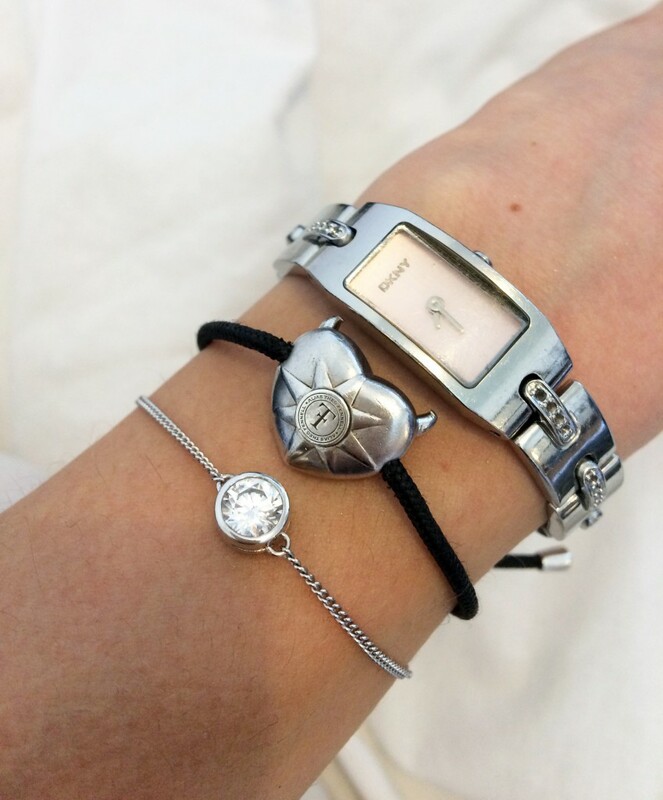 I was lucky enough to add the most beautiful, simple yet striking Sterling Silver Crystal Chain Bracelet to my daily accessory collection after I had visited the store and viewed the ranges. 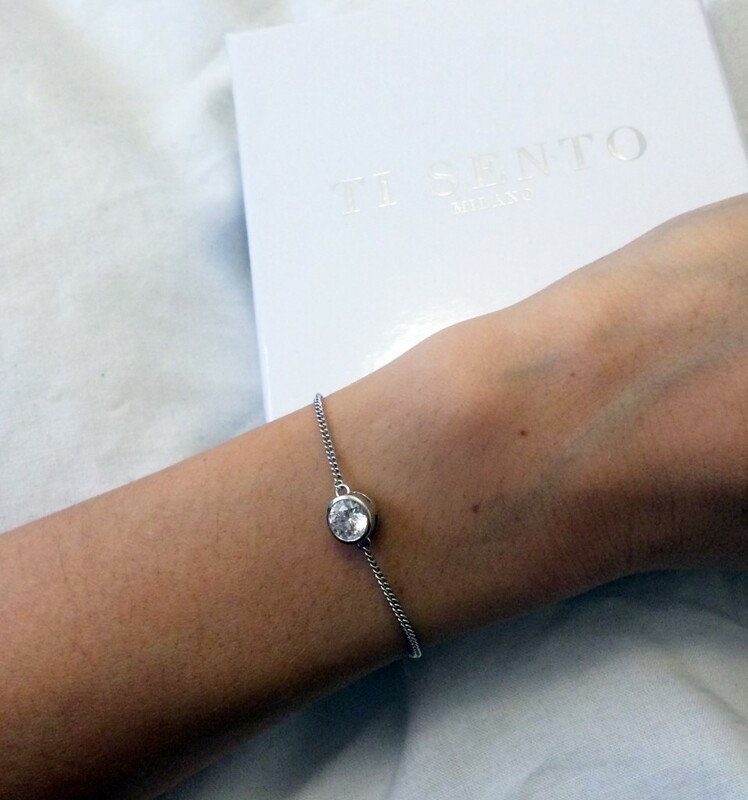 Alongside my trusty silver watched and love heart charm bracelet, I am now the proud owner of my own slice of Italiano style!